It looks extremely likely that Omer Asik will be dealt by Thursday as we recap the latest reports on where he might end up. 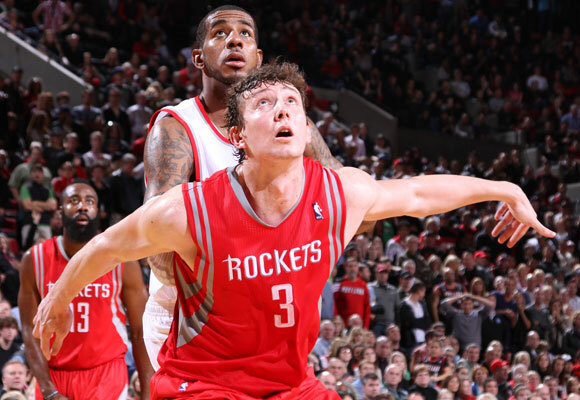 Daryl Morey is expected to trade disgruntled center Omer Asik over the coming week. 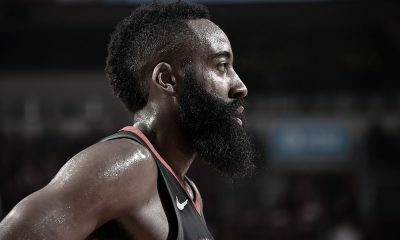 The Rockets continue to make progress on trading disgruntled center Omer Asik by their self-imposed deadline of next Thursday, according to new reports from Marc Stein of ESPN and David Aldridge of TNT and NBA.com. 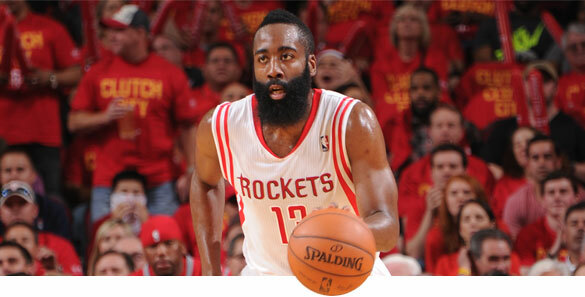 Four names are mentioned as possibilities for the Rockets, and none are huge surprises. Stein, who says the Rockets are “on course” to deal Asik by December 19, cites league insiders in reporting that Atlanta’s Paul Millsap is Houston’s No. 1 target. However, whether the Hawks will part with Millsap “remains a mystery”, Stein writes. Meanwhile, Aldridge broke news of Cleveland as a potential trading partner for the Rockets, labeling Anderson Varejao as a “perfect fit” next to Dwight Howard. While Varejao is not a stretch power forward, unlike most other rumored targets, he is a strong rebounder and defender who can play well out of the high post on offense. Varejao is also capable of playing backup center behind Howard. And beyond his on-court impact, his $9+ million/year contract has a team option after this year, making him somewhat of a potential expiring deal (only $4 million is guaranteed for next season). That could make Varejao a popular asset in February for teams looking to shed a higher-salaried player and gain offseason cap space. However, Varejao is also 31 years old and has had many injuries in recent years. While he’s been mostly healthy in 2013, Varejao played in a combined 81 games over the past three seasons. 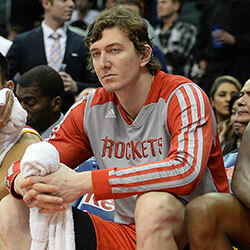 That could be why the Rockets need more than Varejao to make a deal with the Cavaliers. 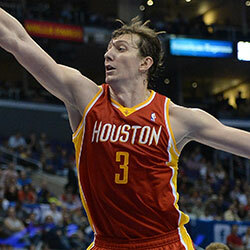 Stein cites a source “close to the process” as saying Houston would not deal Asik for Varejao straight up. 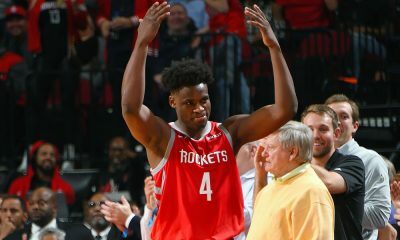 “It’s believed that Houston would be seeking at least one more asset in the exchange if talks with the Cavs ever progress to a serious stage, presumably a future first-round pick,” Stein writes. Besides Millsap and Varejao, Stein reports that Philadelphia and Milwaukee also continue to be mentioned as potential trade partners, with packages likely headlined by Thaddeus Young and Ersan Ilyasova, respectively. 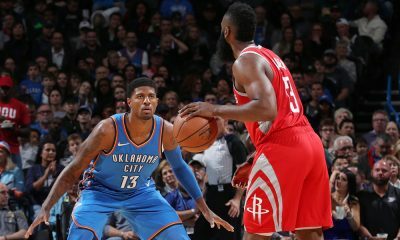 Like Millsap, those two have more ability to play from the outside and space the floor, characteristics that many have assumed the Rockets would target from a power forward in head coach Kevin McHale‘s three-point happy offense. Another option could be a package centered around draft picks. 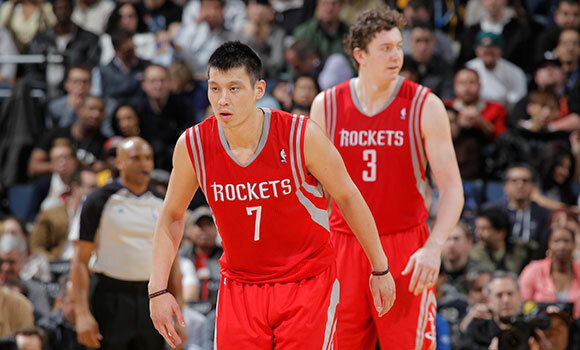 According to Zach Lowe of Grantland, Houston GM Daryl Morey asked the Charlotte Bobcats for “two first-round picks and the right to swap first-round picks in a third draft” in exchange for Asik. Whoever the ultimate target may be, the true trade window for Morey and the Rockets to strike a deal opens this Sunday, December 15. That, of course, is the date in which anyone who signed a contract this summer — such as Millsap — becomes eligible to be traded. Meanwhile, a player must be traded before December 19 (next Thursday) in order to be eligible to be dealt again as part of a package at the February 20 trading deadline. 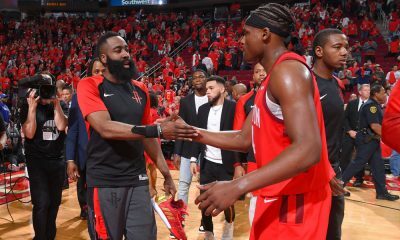 This could be crucial if the Rockets trade Asik for a package such as a first-round pick and/or a player to match salaries, because it could give the Rockets flexibility to make another deal with those assets down the line. That’s relevant because in February, general managers of losing teams are historically much more willing to “give up” on their current seasons and focus on offseason cap flexibility — at least relative to December. 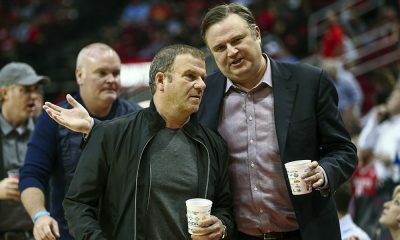 That, in turn, could open up a new wave of possibilities for Morey and the Rockets.